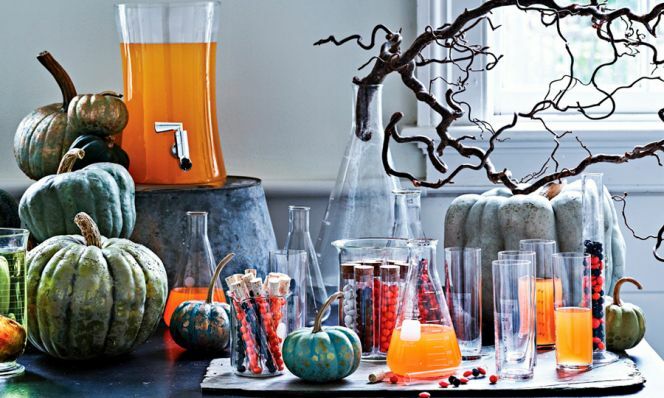 Dress up your home with an eerie array of ghoulish goods. 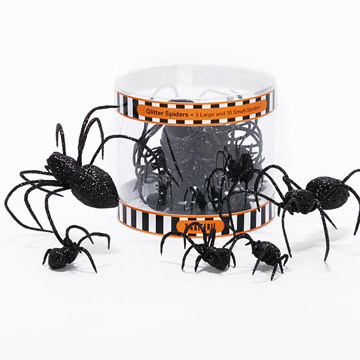 A few eight-legged friends can give a trick-or-treat table flashy flair. 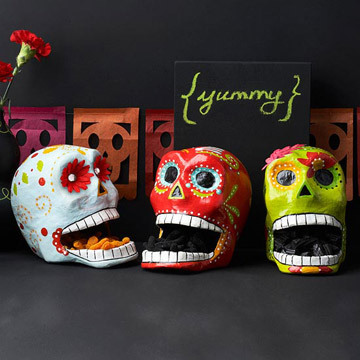 Swap a colorless cranium for a funky Day of the Dead-inspired skull. 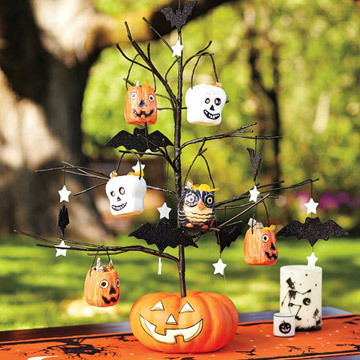 A spindly tree, adorned with bags of treats, makes a festive addition to your entryway. 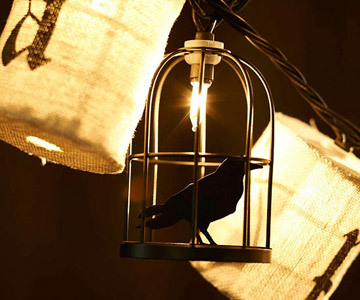 String these lights across your porch to brighten up fright night.